Preheat oven to 350°F and line a cupcake pan with 12 liners. In a medium bowl add the Bisquick, milk, eggs, syrup, and peanut butter and mix until combined. Pour into cupcake liners filling about 3/4 of the way. If desired sprinkle with chocolate chips. Bake for 14-15 minutes or until toothpick comes out clean. 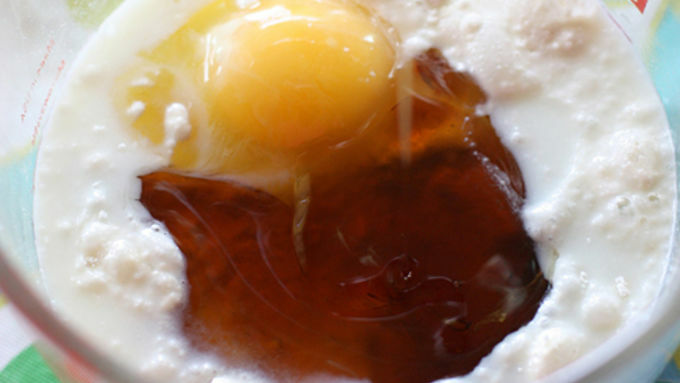 Serve with additional maple syrup, if desired. 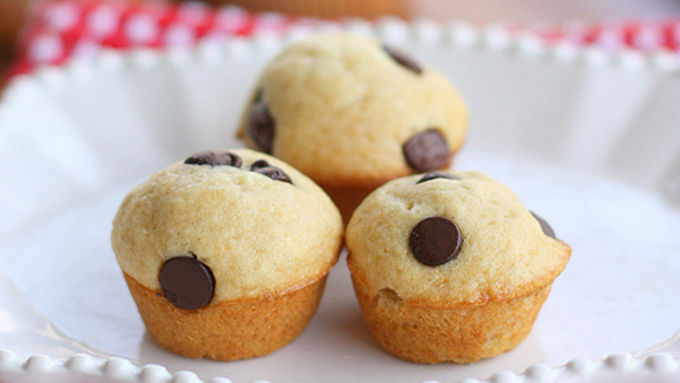 For mini pancake muffins spray a mini muffin tin with cooking spray and fill muffin tins. Bake at 350 degrees for 8-10 minutes. Slaving over a hot griddle making pancakes doesn’t sound like a fun morning to me, so skip the pancakes and make these easy pancake muffins instead! 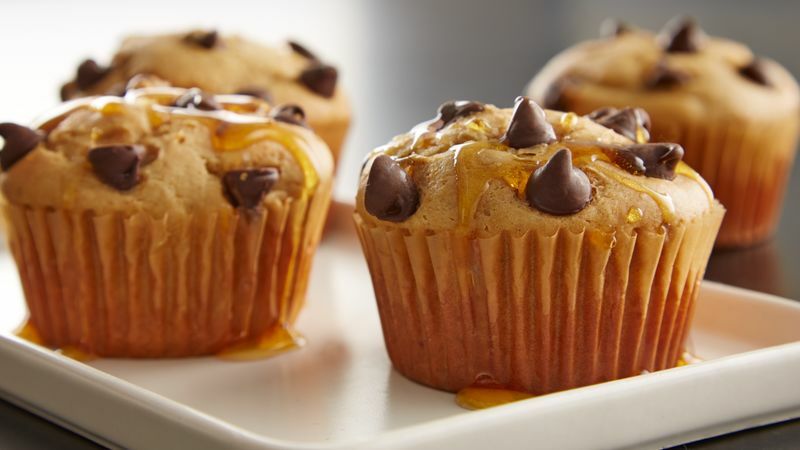 These Peanut Butter Pancake Muffins have that amazing pancake taste and flavor, all in the convenience of a muffin. Have you ever heard of a puffin? These pancake-muffins or “puffins” (not to be confused with the bird) have some maple syrup mixed into the batter for that pancake flavor you’re after -- and they have the same texture as a fluffy pancake, too. Just pour your pancake batter into some lined cupcake tins and sprinkle with whatever toppings you prefer: coconut, blueberries, nuts – you name it. But since we added some peanut butter to these puffins, the obvious topping of choice was a handful of chocolate chips to complement the peanut butter. Put them in the oven and do whatever your heart desires. Read the paper, watch a show, play with your children…or dog. But what you WON’T be doing is sweating over the stove flipping your life away. Serve them alone or with some syrup. You can even make mini puffins and eat four instead of just one and not feel bad about it at all. 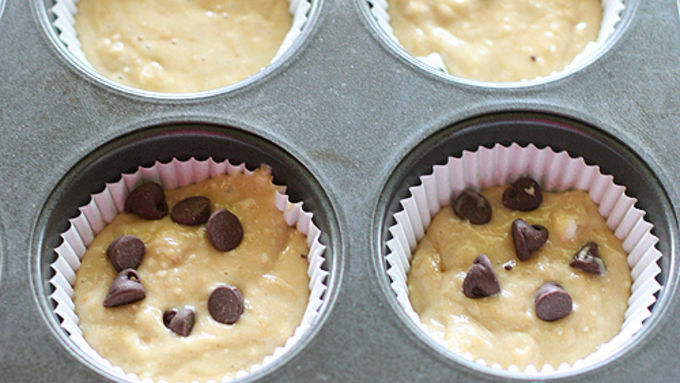 For mini pancake muffins spray a mini muffin tin with cooking spray and fill muffin tins. Bake at 350 degrees for 8-10 minutes. Pancakes are so last week. Try these cute and adorable puffins for something new! Try these pancake recipes for more fun with your fave taste!